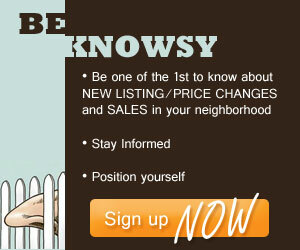 Escrow | Koa Realty, Inc - Search Big Island Hawaii Properties for sale. Escrow is defined as a process by which money and or documents are held by a disinterested third party until completion and satisfaction of the terms and conditions of the sales contract or escrow instructions (as prepared by the parties to the escrow) have been achieved. Once these terms have been completely satisfied delivery and transfer of the escrowed funds and documents takes place. Almost with out exception, every real estate transfer here in Hawaii is done by a professional escrow company, title company or lending institution. Escrows function is to handle all necessary details to actually finalize a real estate transaction so that clear title can be legally conveyed from the seller to the buyer. This occurs between the time of the acceptance of the offer and the closing date at which time the buyer takes title to the property. This period usually varies between two weeks and two months, depending on the specific conditions stated in the purchase contract. The escrow office is the person responsible for reviewing and accomplishing each and every detail necessary for the transaction to close smoothly, correctly and expediently. Throughout the execution of their duties, the officer acts as an unbiased third party, representing neither the buyer nor the seller. The escrow officer strives to meet the needs of both parties towards the ultimate completion of a transaction. They work with both buyer and seller and their elected real estate agents to ensure that timelines are met, documents are ordered, issued and reviewed and that the road is paved for a smooth transaction. Here is a guide to the step by step process of an escrow timeline. 1. With regard to a real estate purchase transaction, the title company who is handling the escrow process for your transaction will be issued the original sales contract usually in the form of a HAR Standard Form Purchase Contact along with all other attached documents such as Counter offers, side addenda, a Purchase Money Mortgage, an ernest money deposit or initial deposit, and escrow instructions that name the principles to the transaction. This documentation will be provided by your real estate agent. Once this is submitted to the escrow officer that will be handling the file and escrow number so that all parties can easily identify the file and transaction. 2. 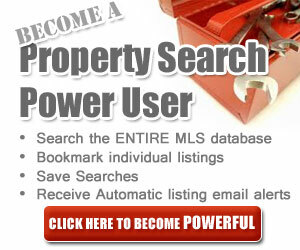 Escrow will request a title search from their title department. A title search should be completed within 3 business days from the opening of escrow. 3. Escrow instructions are prepared and sent out to both buyer and seller parties for review and signature. Copies will also be sent to your Realtor. 4. Upon receipt of the title search, escrow will review the report and make parties aware of any defects in the title such as additional liens and or mortgages that were not previously disclosed by the contract. If necessary, additional demands will be requested. Contingencies as specified in the contract and financing requirements are reviewed and checked. 5. 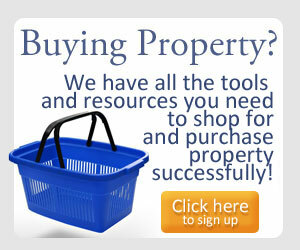 Escrow will send out demand requests pertaining to current mortgages on the subject property. Due to the process of selling, Escrow is instructed to pay off any said mortgages or liens that come up on the title report, therefore it is necessary for escrow to obtain the pay off figures. 6. Conveyance documents (Deeds or Assignments of Leases) will be ordered from a local attorney. 7. Demands and special conditions will all be reviewed and updated where and when necessary. 8. Closing statements will be prepared and closing (signing) appointments will be arranged. The buyer and agent will be advised of the closing figures that will be required at the time of the closing through issuance of a HUD settlement statement. Said funds need to be provided via a money wire/transfer or a cashiers check to the title company. 9. All necessary documentation pertaining to the transaction and closing will be forwarded to the states recording department for the actual recording of these legal documents at the Bureau of Conveyances located on the island of Oahu. Usually these documents are submitted no later than two days prior to the actual closing date. 10. Recordation takes place and at that time escrow can then disburse all funds, including seller’s proceeds, mortgage payoffs, real estate agency commissions, etc. Escrow will advise your agent as to when the transaction has recorded and is completed. At the point of recordation, the property officially transfers ownership and possession by the purchaser can commence. 11. After the closing, escrow will forward final documents to all interested parties: Buyer, Seller, Lenders, Etc.